Elyse Fitzpatrick and Jessica Thompson explain what makes Christian parenting unique: it isn't merely about turning out "good" kids; it's about pointing all of our kids to the Savior. While rules are a necessary part of parenting, Elyse and Jessica say, they aren't the primary theme, the work of Christ is. Obedience doesn't make our kids right with God, in fact, "...obedience may actually blind a compliant child to his need for a Savior" (pg. 33). The law doesn't transform the heart...It only hardens them in pride (because they're successfully obeying it) or despair (because they aren't) (pg. 68). We must trust in His "ability to transform hearts, not in our ability to be consistent or faithful...Freedom to love and enjoy our children flows out of the knowledge that God saves them in spite of our best efforts, not because of them. Salvation of the Lord" (pg. 53). It's not up to me; it's a work of God. "When we're quietly resting in grace, we'll have grace to give our children, too. When we're freed from the ultimate responsibility of being their savior, we'll find our parenting burden becoming easy and light" (pg. 55). "We have far too high a view of our ability to shape our children and far too low a view of God's love and trustworthiness. So we multiply techniques and try to control the outcome" (pg. 57). "The world tells us that our children's success depends upon our success. The world knows nothing of God's ability to use our failures as a means to bless" pg. 77). "What you need as a praying parent is a deep drink of the love of God, your Father, not more commands to pray...The Lord isn't disappointed in you or your parenting. He's not disappointed in your prayers...He already knows the worst about you (in yourself) and loves and approves you nonetheless (in Christ). Although your sin does grieve him (Eph. 4:30), he doesn't want you to keep your distance, sitting in a corner wearing a dunce cap until you learn your lessons. He invites you to come boldly in with joy and confidence, knowing that he is eager to embrace you...Because of Jesus, your Father delights to heart he sound of your voice… (pg. 131-132). In spite of all of the strengths of this book, I do have a few reservations. 1.) The authors don't make children apologize unless they are truly sorry (pg. 67, 101, 104) lest they be hypocritical. "They [our children] should be encouraged to ask God and others (including their parents) for forgiveness, but only if they are genuinely sorry. If we encourage our children to ask for forgiveness when their hearts haven't been stricken by the rod of the Holy Spirit's conviction, we are training them to be hypocritical. We are inadvertently teaching them that false professions of sorrow will satisfy God. God is never pleased with outward proclamations of devotions when the heart is far from him (Isa. 29:13; Matt. 15:7-9); in fact, he hates it. The truth is that we can never know with any certainty whether proclamations of repentance are true, because only God knows the heart (Jer. 17:5). Assuming that we can see into the heart is a sign of our pride, and it is dangerous for them. Rather than insisting on an immediate show of repentance, you should give your children time to respond to the prompting of the Holy Spirit" (pg. 104). I could easily use this same logic to say that they need not obey, attend church, sing praises to God, etc. unless they truly desired to, however, I don't think that this should be the case at all. John Piper has a very helpful article on this subject: "Why Require Unregenerate Children to Act Like They're Good?" 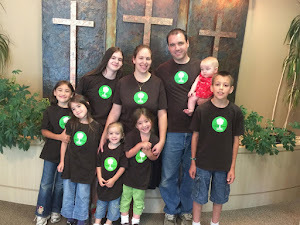 @ http://www.desiringgod.org/resource-library/taste-see-articles/why-require-unregenerate-children-to-act-like-theyre-good. 2.) The authors repeatedly assert that obedience results from a heart of gratitude for all that God has done for us in Christ without providing any Scripture references to support this notion (ex. pg. 48, 54, 83, 106, 108). 3.) The authors make an unhelpful distinction between regenerate and unregenerate children (ex. pg. 48). A "Chart of Common Problems and the Gospel" includes suggested conversation for the child who isn't a Christian and the one who is. Dan Cason** articulates this concern quite nicely in his review at the Westminster Bookstore website. I am still weighing the above matters and have not had sufficient time to ponder them in-depth. As a result, my thoughts are not well-articulated and severely lacking. However, my review is due, so I've treated the matters as carefully as I can at this time. I hope the links will help you to begin to study these matters for yourself. 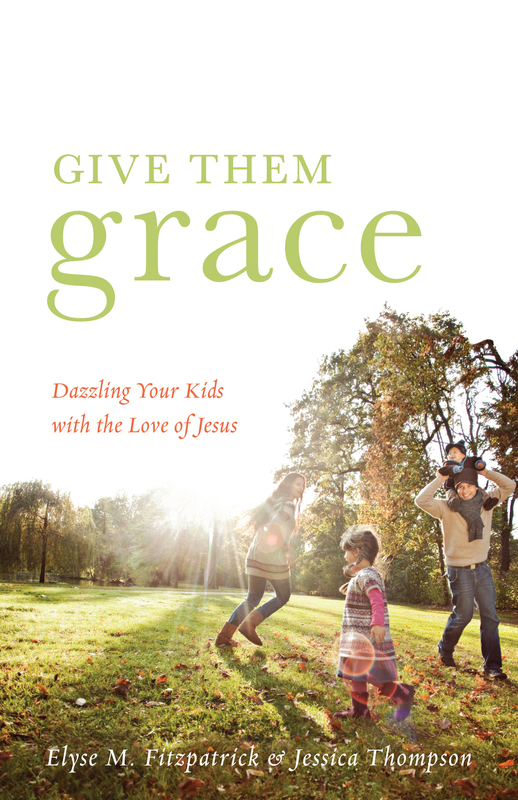 Overall, Give Them Grace is an encouraging and thought-provoking read. I am still processing much of the material. While there is much to commend, there is also much to ponder and carefully weigh. I don’t agree with others who have said that it is the best parenting book, but God has used it as a means of grace to me and for that I am grateful. **Please note that this originally read Don Carson, however, I misread the name on Westminster's website. My apologies to Dan Cason and Don Carson for the oversight. Many thanks to Andy Naselli for pointing it out! Thank for this careful review, Elizabeth! I've had the same thoughts as I was reading this book. You go, Elizabeth!!! :) Thank you for a very thorough review. These would be concerns for me as well, and this book has been on my wish list. Now I'm not in a super hurry to get it. Sounds like Shepherding A Child's Heart is still a great basic. Thank you again!